The Glimpses of the Moon. New York: D. Appleton & Company, 1922. First edition of Wharton’s sweeping epic. Octavo, original blue cloth. Contemporary bookplate to the front pastedown, near fine in a near dust jacket with light wear and closed tears to the extremities. Uncommon in this condition. Set in the 1920s, The Glimpses of the Moon details the romantic misadventures of Nick Lansing and Susy Branch, a couple with the right connections but not much in the way of funds. They devise a shrewd bargain: they'll marry and spend a year or so sponging off their wealthy friends, honeymooning in their mansions and villas. As Susy explains, "We should really, in a way, help more than hamper each other. We both know the ropes so well; what one of us didn't see the other might -- in the way of opportunities, I mean." The other part of the plan states that if either one of them meets someone who can advance them socially, they're each free to dissolve the marriage. It was made into a silent film of the same name in 1923, but this is now lost. New York: D. Appleton, 1920. First edition of the author’s Pulitzer-Prize winning novel. Octavo, original red cloth. A very good example with some rubbing to the bottom cloth in the rare original unrestored dust jacket with some chips and wear to the spine and panels. Housed in a custom half morocco clamshell box. Rare, especially in the original unrestored dust jacket. New York: Charles Scribner's Sons, 1905. 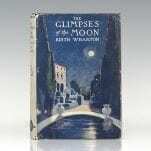 First edition of this wonderfully illustrated work, with text by Wharton. Octavo, original green cloth, gilt titles and tooling to the spine and front panel. Illustrated by E.C. Peixotto. Frontispiece and Illustrated throughout. In very good condition. New York: D. Appleton and Company, 1920. First edition of the author’s Pulitzer-Prize winning novel. Octavo, original red cloth. In very good with some light toning to the spine. Housed in a custom half morocco clamshell box. Old New York: False Dawn, The Forties; The Old Maid, The Fifties; Old New York, The Sixties; and New Year’s Day, the Seventies. New York: D. Appleton, 1924. First editions of each of the four volumes that compose of Edith Wharton’s Old New York. Octavo, four volumes; original blue cloth; original slipcase. Each volume is in near fine condition with the original dust jackets which show just a touch of rubbing and wear. The original slipcase is in very good condition. The nicest example we have seen or handled. New York: D. Appleton & Co, 1925. 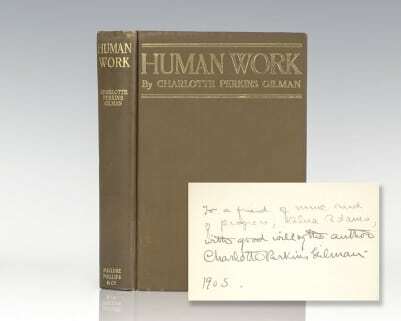 First edition of this work by the first woman to win the Pulitzer Prize for fiction. Octavo, original cloth. In near fine condition. 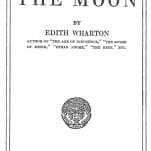 Wharton, Edith; Illustrated by Maxfield Parrish. Italian Villas and Their Gardens. New York: The Century Company, 1904. First edition of Wharton’s classic treatise on “Italian garden-magic.” Quarto, original dark green cloth, top edge gilt. With 45 full-page plates, including 26 illustrations by Maxfield Parrish (15 in color), seven in-text and 19 black-and-white photographic illustrations. In near fine condition with some light rubbing and wear. A nice example. New York: D. Appleton and Company, 1928. 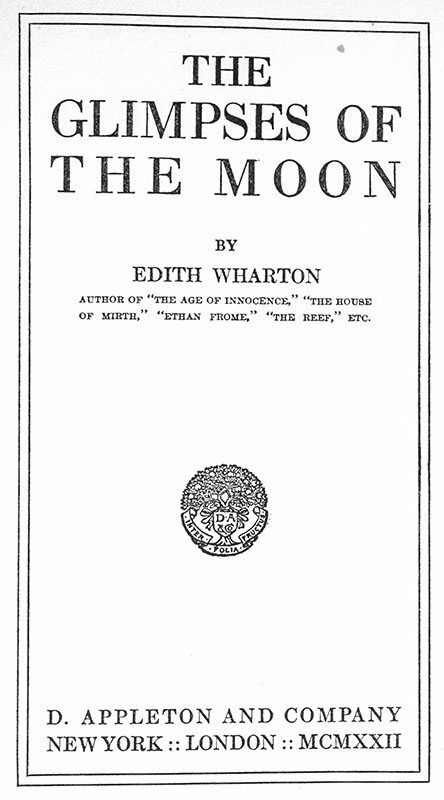 First edition of Edith Wharton’s sophisticated satire. Octavo, original cloth. Near fine in a very good price-clipped dust jacket with some wear to the extremities. New York: Charles Scribners Sons, 1916. First edition of this short story masterpiece. Octavo, original cloth, gilt titles to the spine. In very good condition. First edition, first issue with the Scribner’s seal to the copyright page of the novel that brought Wharton international success. Octavo, original cloth, gilt titles to the spine and front panel, top edge gilt, frontispiece with tissue guard, illustrated with eight plates by A.B. Wenzell. In near fine condition, contemporary name to the front free endpaper. A sharp example. 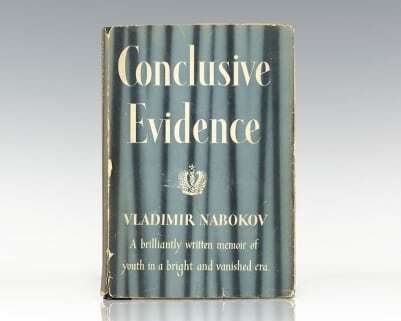 First edition of the author’s Pulitzer-Prize winning novel. Octavo, original red cloth. In very good with some light wear to the spine. Housed in a custom half morocco clamshell box. A nice example. First edition of Wharton’s sweeping epic. Octavo, original blue cloth. Near fine in a near dust jacket with light wear and closed tears to the extremities. Uncommon in this condition. Wharton, Edith & Ogden Codman Jr.
New York: Charles Scribner's Sons, 1897. 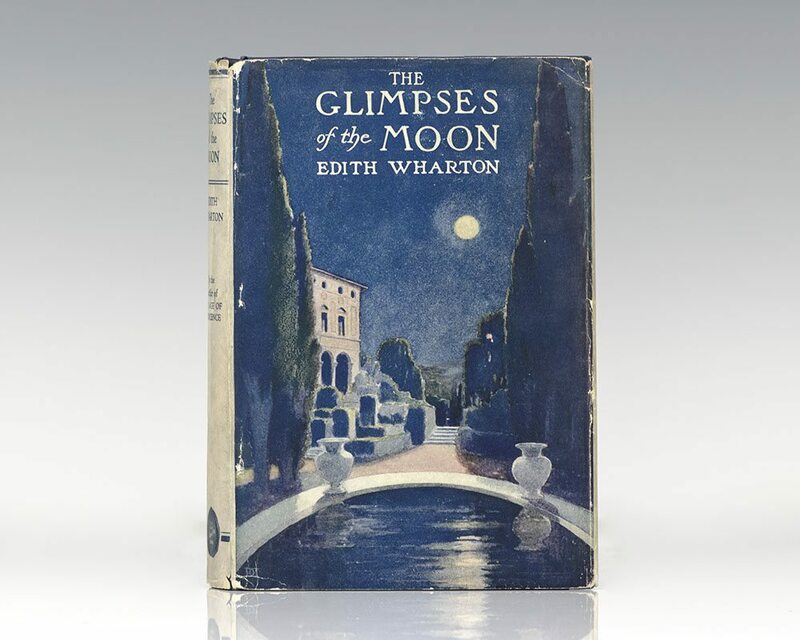 First edition of Edith Wharton’s first published book. Octavo, original marbled paper boards. Illustrated with 56 plates. In near fine condition with rubbing. Uncommon in this condition. New York: D. Appleton and Company, 1930. First edition of this collection of six short stories. Octavo, original cloth. Near fine in a very good price-clipped dust jacket with some wear to the extremities. New York: Charles Scribner's Sons, 1907. First edition of this subtle investigation of the clash of cultures and the role of women in the social hierarchy. Octavo, original cloth, gilt titles to the spine, illustrated with color plates. In near fine condition with a touch of rubbing. A very sharp example. Rare graphite artist’s sketch of American director and comedian Wood Allen. Signed by Woody Allen in the upper left corner of the sketch. Additionally signed by the artist, P.B. Socci. Active in the mid 1970s, American artist Pat B. Socci gained a reputation for seeking out Hollywood icons to sign his sketched portraits. The drawing measures 8.75 inches by 11.5 inches. A unique example. Herzl, Theodor (Second Zionist Congress). Theodor Herzl Second Zionist Congress Shana Tova Postcard. Rare 19th century Shana Tova postcard from the Second World Zionist Congress featuring a central portrait of Theodor Herzl flanked by other Zionist leaders Bernard Lazare, Max E. Mandelstamm, Theodor Gaster and Max Nordau. Below the portraits is a biblical verse in Hebrew from Ezekiel 37:21, “Behold, I will take the people of Israel from the nations among which they have gone, and will gather them from all around, and bring them to their own land” with images of a farmer in Eretz Israel and figures praying at the Western Wall in the Old City of Jerusalem. Paired with a rare silk handkerchief with floral embroidery and an engraved portrait of Herzl flanked by New Year’s greetings in Yiddish. Both items are in near fine condition. The postcard measures 5.5 inches by 3.5 inches. The handkerchief measures 10 inches by 10 inches. A rare and desirable piece of Judaica.